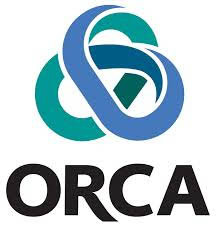 Orca Exploration Group Inc. has appointed Blaine E. Karst as Chief Financial Officer. Mr. Karst has over 30 years of experience in senior financial management roles, with the majority of the past 15 years working as Finance Director/CFO for internationally focused oil and gas exploration and production companies. From 2007 to 2014, Mr. Karst worked as CFO for Vostok Energy Plc., a private UK based group with oil and gas operations in Russia. From 2000 to 2006, Mr. Karst worked as in-country Finance Director in Vietnam and Russia for Soco International Plc, a London Stock Exchange listed international oil and gas exploration and production company. Mr. Karst has a Bachelor of Commerce degree from the University of Saskatchewan and is a Canadian CPA, CA (Chartered Professional Accountant, Chartered Accountant). The appointment follows the reassignment of former CFO, Robert S Wynne, who will be assuming a senior advisory role working directly with the CEO and CFO.